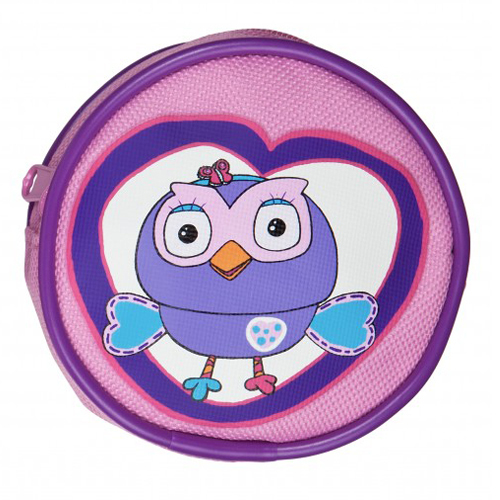 This pink Giggle & Hoot Hootabelle coin purse offers a unique way for kids to carry their money. 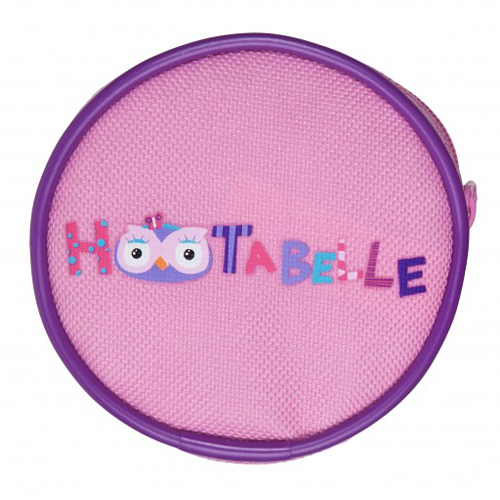 With an image of Hootabelle on the front, the design is further enhanced by bright purple piping, and a Giggle and Hoot logo zipper pull. 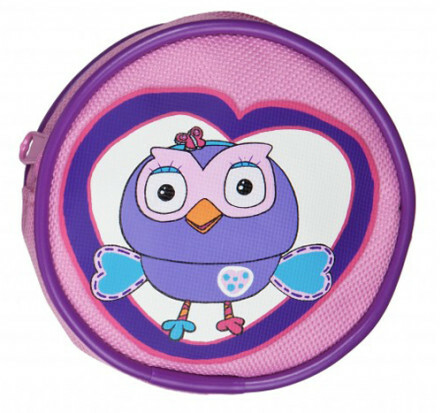 Giggle & Hoot is a very popular kids TV show on the ABC Children’s channel. Jimmy Giggle and Hoot the Owl are two best mates, living together in their wonky, recycled house. They never know who’s going to drop in and say hello. The Wiggles, Dirtgirl and the Play School gang all love to visit for a chat, song or a bit of silliness.